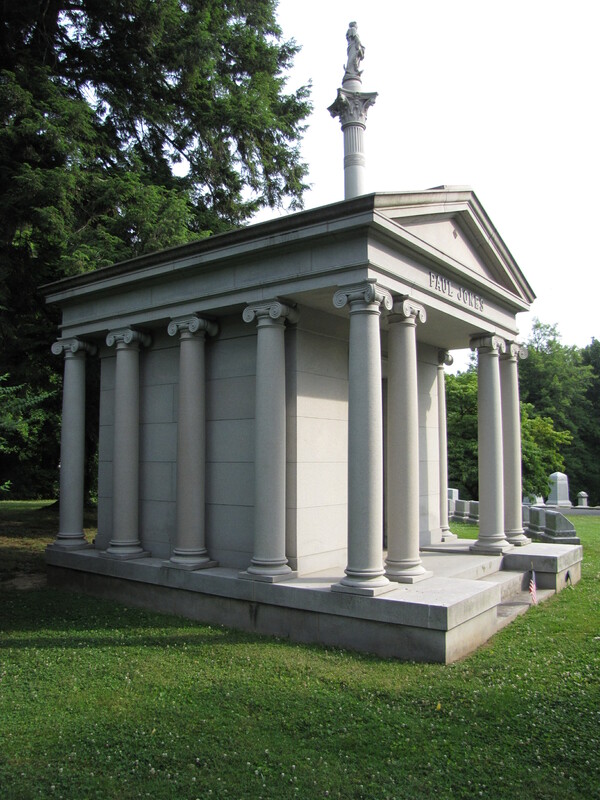 The classically designed mausoleum in the Cave Hill Cemetery at Louisville, Kentucky, was built for Paul Jones, a whiskey and tobacco distributor who left his native Atlanta when Georgia enacted prohibition laws. Jones picked up and moved to Louisville where he more than doubled his fortune. He was an innovative marketer and pioneered the use of lighted outdoor advertising signs. His innovations paid off. 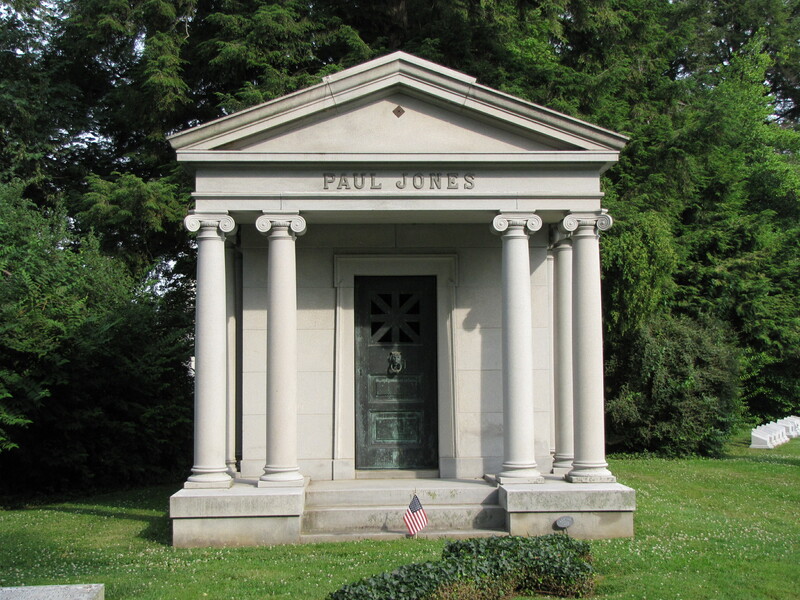 When Jones died in 1895 at the age of 54, he had expanded his business to include real estate and banking. The mausoleum design is of the Ionic order, one of the three organizational systems of Greek architectural design. The Ionic order is characterized by the use of a capital (the top of the column) that uses volutes, a spiral scroll-like ornamentation. In this example, the capital is enriched with an egg and dart design. 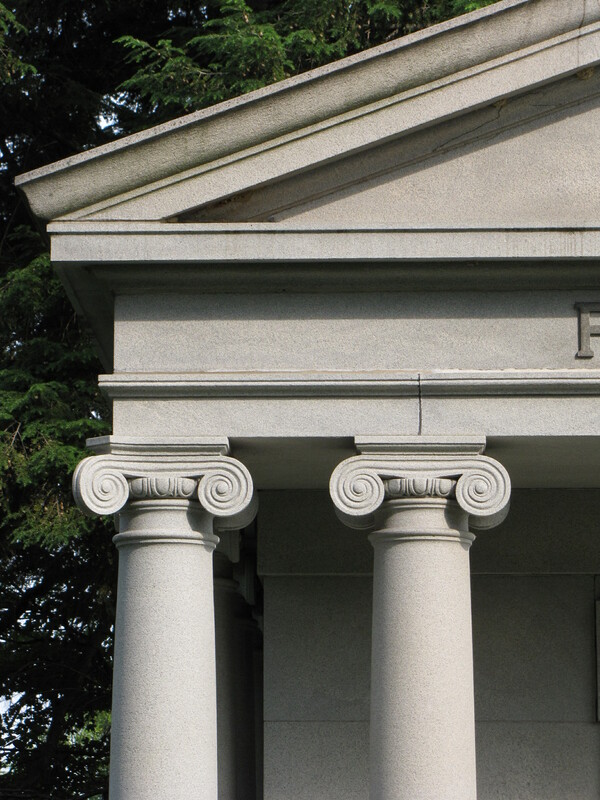 The Ionic column is slender and are often fluted, though, the columns in the Paul Mausoleum are not. The entablature (architectural composition resting on the columns) is composed of an architrave (lentil or beam) which is plain and divided into two or three bands and rests directly on the column; a frieze (the widest band between the capital and the cornice); and the cornice.